The term meter data management (MDM) covers a lot of ground in the smart grid space. We’re talking everything from simple databases to record and bill customers based on digital meter reads, to complex platforms that link outage detection, power quality measurement, verification and estimation analytics and all other sorts of utility functions into smoothly working systems. At least, that’s the theory. But to get all that different software working together, MDM platforms have to tackle the key challenge of data flow. Most of the world’s advanced metering infrastructure (AMI) networks feed back data in 15-minute or hourly increments, but they’re also capable of faster communication for emergency functions. At the same time, no network is perfect, and every AMI deployment has to deal with dropped or delayed data, whether due to software glitches or fallen tree limbs and other real-world disruptions, both as they happens and in truing up the ledgers before sending out the bills every month. That makes for a data analytics challenge that, if not truly real-time, at least falls under the utility catch-all category of “near real-time” -- a term of art for the level of capability today’s AMI systems can support. Now we’ve got a new MDM offering from Telvent, the big smart grid IT company bought by Schneider Electric for $2 billion in 2010. Called Conductor, it is purpose-built to analyze data as it streams from the smart grid, as well as to automate the flow of that data to disparate systems that serve the utility enterprise. 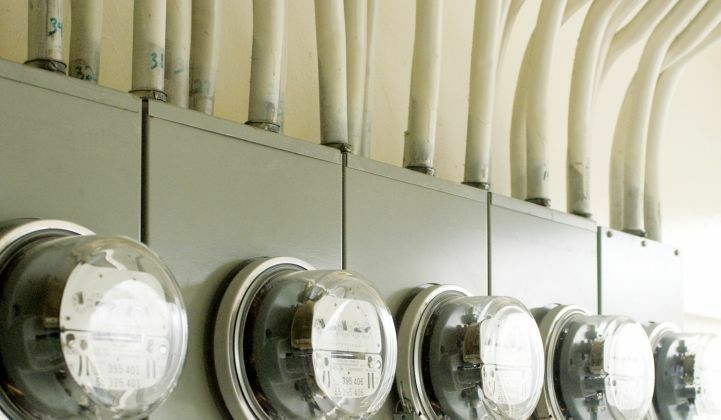 Telvent landed its first customer for Conductor last week, when Ontario, Canada utility Entegrus announced it would use the platform for its 50,000-customer smart meter deployment. But the company is also in discussions with other utility customers interested in trying it out, Nnamdi Agbakwu, Telvent meter data systems product manager, said in a Wednesday interview. Conductor does all the fundamental meter-to-cash and verification, editing and estimation (VEE) work of the MDM, Agbakwu said. But it’s also built to link up to grid operations systems -- such as Telvent and Schneider’s array of distribution grid management products -- to provide a faster, more data-rich view of ongoing grid status, he said. Telvent isn’t the first to link smart meters to distribution grid management (DMS) or distribution automation (DA) systems. AMI vendors like Echelon, Elster, Silver Spring Networks, Itron, Landis+Gyr and Sensus are turning on their meters for grid operations purposes in increasing numbers. Dominion, the parent company of electric utilities in Virginia and North Carolina, has teamed up with Lockheed Martin on the Dominion Edge AMI-backed volt/VAR optimization platform that now counts Silver Spring and Elster as partners. At the same time, MDM providers such as eMeter (now part of Siemens), Ecologic Analytics (now part of Toshiba’s Landis+Gyr), Itron, Oracle, Aclara and many others have been promising new near real-time analytics and integration capabilities, as they strive to help utilities deal with the data flowing from their multi-million smart meter deployments. Telvent, of course, has a market-leading geographic information system (GIS) platform, along with utility asset management, outage management, and the automated distribution management system (ADMS) that Telvent and Schneider are deploying with utilities around the world. On the big data front, Telvent has partnered up with OSIsoft, the San Leandro, Calif.-based heavyweight in smart grid data management software, to bring a new level of close to real-time meter data analytics and automation to Conductor, Agbakwu said. We’ve seen a surge of “big data” platforms launch for the smart grid in the past year or so, from heavyweights like OSIsoft and IBM to startups like AutoGrid and Space-Time Insight, to name a few. OSIsoft's PI platform allows Telvent’s Conductor MDM to capture and analyze data as it comes in from various points in the smart grid, which can be applied to various jobs, he noted. For instance, fast-uploading transformer status data to work crews in the field, or auto-correcting volt/VAR optimization schemes to account for meter power quality readings. Conductor can also help utilities manage that core function of keeping their AMI networks running at top efficiency, he added. Losing only 5 percent of a month’s worth of smart meter data reads for a 50,000-meter utility like Entegrus can add up to 1.8 million missed reads per month, he noted. Network management systems from the likes of Cisco, SK Telecom’s GridMaven and Proximetry Networks are promising to tackle that problem for smart grid networks, but the MDM can also play a key role, Agbakwu noted.